Cyprus based trading platform, Xtrade, has been in operation for over 10 years and has built a trusted reputation within the industry. You have probably already heard about the popular Xtrade trading platform. With the Cyprus based brokers’ popularity, we thought it would be a great idea to check it out for you, here’s what we found out about the trading platform. Xtrade has been providing clients help with making trade payments, as well as managing liquidity and risk for over ten years. They focus on connecting counterparties with market-leading Traditional Trade for CDFs on shares, commodities, forex, and indices. Xtrade has created a dominant trading platform offering around-the-clock support to clients. Their vision is to improve the services they offer their clients while building the highest level of trust, which will allow clients to confidently trade with them. They have already earned a reputation for excellence, and say it is due to their principles of innovation, as well as their integrity and professionalism. 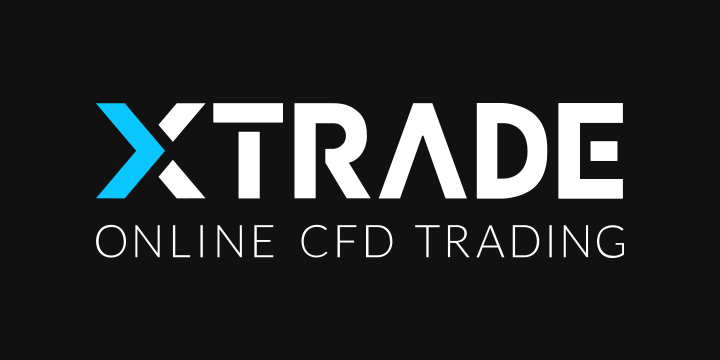 Xtrade broker aims to keep up their dedication and continue being a state-of-the-art provider for CFDs. Whether or not you’re a fan of football, you will probably know who Cristiano Ronaldo is. Impressively, Ronaldo was Xtrade’s official ambassador of 2016-2017. They said that their partnership was an opportunity for them to support the world’s greatest footballer while boosting marketing-leading CFD trading products. “I am delighted to announce that I have become the official ambassador of Xtrade, one of the world’s leading trading platforms. We both strive to be the best performers in our fields”. The Xtrade platform is simple for trading and contains no hidden fees. On their main content page, the entire list of buy and sell prices of the instruments they have available. The dynamic trading platform allows you to add a Stop Loss or Profit Limit, to protect the user’s risk of exposure when entering an order with them. Here is a trading example they have provided. During this step, Xtrade gathers your personal contact and financial information, as well as your proof-of-identity and residence documentation. It only takes between 5 and 10 minutes, and can even be completed using a smartphone. Passport or Government-issued photo ID card. A document evidencing the place that you permanently reside. Copied or non-readable documents are not accepted. This step doesn’t require the user to do anything. The user waits for their information to be verified and the process to be completed in this step, it takes an average of 24 hours to be approved. Once the account is verified users can then fund their account quickly with leading online transfer mechanisms for deposits and withdrawals. The user can choose their currency and channel during the deposit process. The minimum funding that is required to open an account is $200. Xtrade offers users the choice between their standard account, Premium account, platinum account or VIP. Xtrade platform gives access to the most popular cryptocurrencies available. These include Bitcoin, Bitcoin Cash, Litecoin, Dash, Ethereum, Ripple and many more. They claim to trade the hottest financial market’s instruments, that gained over an estimated 1,500% since the beginning of 2017. Cryptocurrency CFDs (contract for difference), enable a possibility of trading on the cryptocurrency market without actually owning any coins at all. In a crypto CFD, which is a contract between a buyer and seller, the seller usually pays the buyer the difference between the current value of the crypto asset and its’ value at the end of the contract. There are fixed spreads between the buy and sell prices and no commissions. Xtrade enables its’ users to amplify their trading potential using leverage as a tool. Users should be cautious when doing this because leverage can always work both for you and against you. Xtrade offers safe and secure banking options, provided by their carefully selected network of trusted e-commerce associates and leading financial institutions globally. They have the ability to provide clients with the most popular online payment methods. These methods include credit/debit card, Skrill, PayU, wire transfer and others. To make a deposit by bank transfer, head to the main trading lobby screen and click ‘deposit’ and then select ‘bank transfer’ in the options and then follow the simple instructions on the screen to complete the form and click ‘deposit’. You can begin trading as soon as this transfer is confirmed, which can take up to 5 business days. Again start by accessing the main trading lobby screen and click ‘deposit’. Next enter the desired amount you would like to deposit, and complete the form and click ‘deposit’. Once you have done this a confirmation should appear after a few seconds. Once the deposit is successful the funds will be sent to your Xtrade account and the user will receive an email confirmation. enter the amount you would like to withdraw an click the ‘withdraw’ button. Print a withdrawal form, sign it manually and send it back, you can do this via fax. While your information is processing you will receive an email confirmation. Xtrade’s withdrawal policy can be found here. There are no deposit fees or withdrawal fees on Xtrade platform. There are however premium charges from Xtrade for keeping a position open after a specific hour (approximately 22:00GMT). This gets subtracted from a users’ account and is used to cover the benefit/cost of the associated funding. They have a CFDs list which includes Premium buy and sell charges. The list also includes the spread value (the difference between the bid and the asking price of a financial instrument) for each product on the CFD list too. Customer service and care are top-rate at Xtrade. The users can enjoy the benefits of on-call account managers and personal trading coaches. They offer 24-hour support and communicate with clients via both email and phone. They also have an office address viewable. The customer support can be accessed via live chat on their website. You can also contact them by direct phone or email as mentioned above 7 days a week. The reps can speak 6 languages and the website supports 16 languages. Xtrade has a contact page with a wide range of contact details available. A course for beginners to learn the basic concepts of Forex trading and what the market is all about. Xtrade’s trading toolset enabling users to take their trading skills to the next level. CFDs and Stocks enable users to discover the world of trading, learning the ins and outs of the CFD market, market dynamics and relevant information. Learn the basic concepts and terms of cryptocurrencies to help users gain a better basic knowledge of the world of cryptocurrencies. As well as courses, Xtrade also provides E-Books. They offer Forex Trading Guide, CFDs training guide and a Cryptocurrencies training guide. Why use Xtrade trading platform? Strong financial resources with regulatory oversight – When an account is opened on Xtrade, the broker will hold its’ users’ funds on a segregated basis at Hellenic Bank. This is in agreement with strict clients’ money handling rules, set by Xtrade’s regulator. Competetive pricing and trade execution – Xtrade has devoted over a decade of investment in cutting-edge technology to minimize buy and sell spreads and automated trade execution. They claim to have worked hard to make sure their pricing remains both competitive and transparent. State-of-the-art trading platform – Xtrade gives users the experience of their next-generation trading platform. This grants users access to the CFD market, as well as offering all of the necessary tools and features to optimize user experience. Cloud-based technology also enables access from any device and location. 24-hour support – Xtrade have a friendly and experienced support team that are available 24-hours a day. Unique and innovating trading tools – Xtrade have great online features to ensure that users can make smart and informed trading decisions. The features include Economic calendar, Technical analysis, Market review, Real-time charts, and push notification services. A large range of financial instruments – Xtrade broker allows users the opportunity to trade CFDs on the largest range of underlying assets available, this includes: Shares, Commodities, Forex, Indices and ETFs. Free demo account offered – Especially helpful to those that are new to Forex trading. It can help prepare for the world of live trading, as well as providing an opportunity to test out strategies, gain an understanding of how the platform works, and get a feel for the broker. Xtrade is an award-winning platform after being the winner of 2016 FX Empire Award for Best Mobile Trading Platform. Xtrade platform was also A to Z Forex 2016 winner of Award for Best Customer service. For a look at more brokers, we recommend reading our eToro and 24Option reviews.